The Premium Slimline Reference Large Print Bible has a slim, easy-to-carry size combined with large-print text that makes this Bible great for everyday use. Deluxe features include words of Christ in red and two ribbon markers. Now available in a rich and classic black/onyx TuTone edition with thumb index. 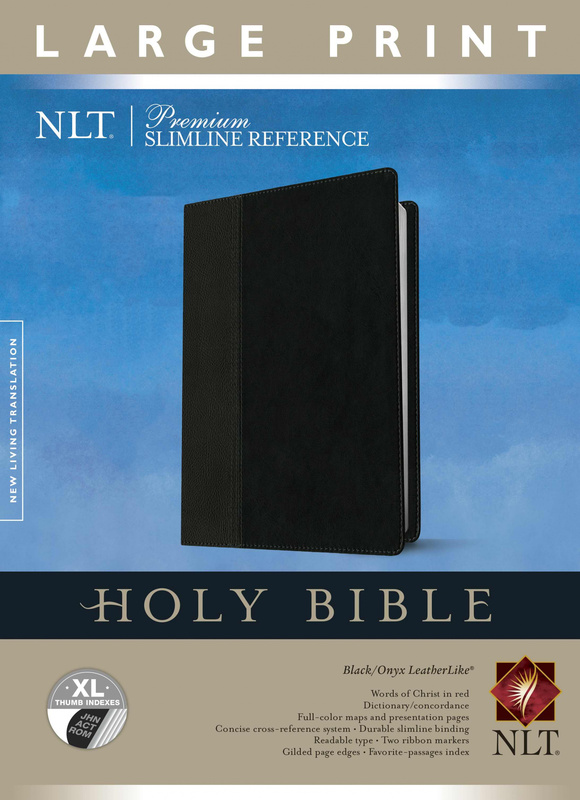 NLT Premium Slimline Reference Bible: Large Print, Black, Imitation Leather, Thumb Indexed by New Living Trans 2 was published by Tyndale in December 2014 and is our 3808th best seller. 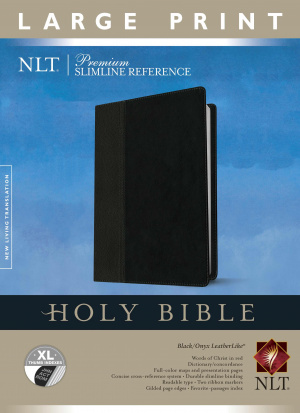 The ISBN for NLT Premium Slimline Reference Bible: Large Print, Black, Imitation Leather, Thumb Indexed is 9781414397634. Be the first to review NLT Premium Slimline Reference Bible: Large Print, Black, Imitation Leather, Thumb Indexed! Got a question? No problem! Just click here to ask us about NLT Premium Slimline Reference Bible: Large Print, Black, Imitation Leather, Thumb Indexed.